Those who are ready to absolve government for the harmful effects of El Niño should think again. While El Niño is a natural phenomenon, its impact on the people and the economy could have been eased by right government policies. Sadly, the policies in place have exposed the country not only to the strongest blows from what experts describe as a “moderate” El Niño. These flawed policies have also exposed us to El Niño’s magnified impact. Take the case of power and oil – strategic sectors that have been privatized and deregulated by government. As the water level in dams around the country fell, hydropower generation also declined. Consequently, more power is generated from plants running on expensive and overpriced oil. To make the situation worse, oil prices have been on an uptrend again in the past few weeks. Electricity bills, which are also artificially bloated, climbed as a result. Prices of other commodities and services are sure to follow. Such predicament could have been capably addressed by a government that has the needed policy tools. But it threw away these tools when it allowed private corporations to take control of the entire energy sector. It tried to reclaim some of these tools through emergency powers but was met with understandable public skepticism. In the end, the reality that Congress could not be convened at this point in the election season forced government to give up the plan. As an alternative, government now intends to lease modular generating sets that could produce an additional 160 megawatts (MW) of electricity for Mindanao. By itself, this plan is already costly with an initial tab of P5.5 billion aside from increasing power rates in Mindanao by P14 per kilowatt-hour (kWh). But it is made even costlier by overpriced oil that will be used in great amounts to feed the generating sets. Amid the El Niño, energy companies, with their greed and abuses un-moderated, are having a heyday. In the coming months, households not only in Mindanao will have to pay for higher electricity bills. 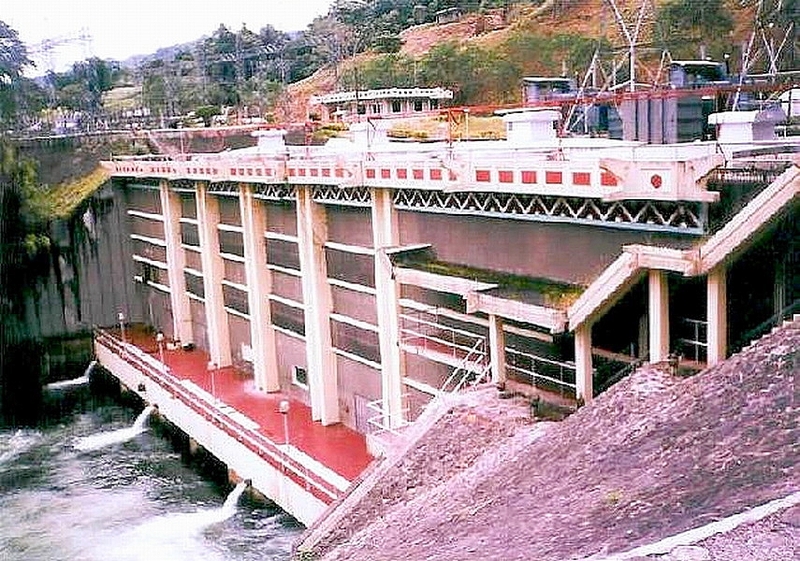 The reason is not only the limited supply of cheaper hydropower due to El Niño. As more power is generated by oil-fed power plants, consumers also become more exposed to the impact of frequent oil price hikes and overpriced petroleum. Under Republic Act (RA) 8479 or the Oil Deregulation Law of 1998, oil companies are allowed to increase pump prices at whim. They are not even required to inform the public about their price changes, much less explain their price hikes. This policy has been abused to the hilt by the oil firms. The National Economic Development Authority (Neda) itself has once confirmed that oil firms are indeed overpricing their products. 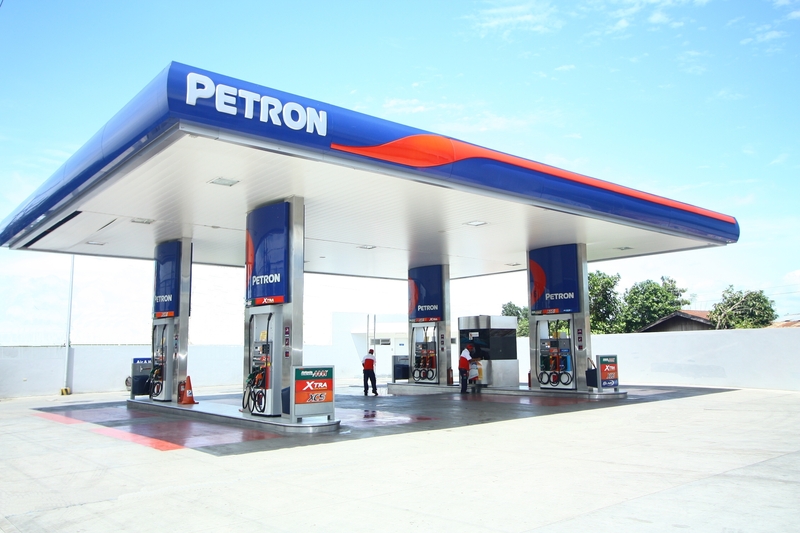 As of January 2010, oil products in the country are still overpriced by an average of P8.12 per liter. This figure is based on the monthly difference between the ideal and actual changes in pump prices from January 2008 to January 2010. The ideal pump price adjustment is computed using the difference in the monthly averages of Dubai crude and foreign exchange (forex) rate during the said period. The actual price movement, meanwhile, is based on the Department of Energy’s (DOE) monitoring. There is no consolidated data yet on actual pump price movement for February and March. But note that in February, there should have been an 83-centavo per liter rollback based on Dubai crude and forex monthly movements. The actual pump price of diesel, however, did not move during the said month while kerosene prices even jumped by 25 centavos a liter. In other words, the overpricing could be much higher (aside from the fact that even before imported oil reach our ports, they are already overpriced due to global monopoly control by the oil giants). an additional 160 MW of electricity in Mindanao will require millions of liters of petroleum. For purposes of comparison, let us look at the 1 MW Generac Diesel Power Module manufactured by Mitsubishi. This generator, running at 100 percent capacity, consumes 238.56 liters per hour of diesel; at 75 percent, 178.92 liters; and at 50 percent, 119.28 liters. Using this as yardstick, and factoring in the P8.12 per liter in overpricing, we can estimate how much the people will needlessly spend for additional electricity in Mindanao. We shall use the 100 percent capacity level since the generating plants that will be leased need to run at full capacity to augment the power shortage in the region. Per hour, the overpricing would be equivalent to P1,937.11. If a 1-MW generator runs for the entire day, the extra cost would be P46,490.57. If the entire 160 MW is generated in a day, the figure would be P7.44 million. For one month (30 days), the overpricing would be P223.15 million. If the 160-MW generators were commissioned for three months (April to June), taxpayers will unjustly shell out around P669.45 million on top of the real price of diesel and the cost of leasing the generating plants. Unabated oil price hikes and overpricing also worsen the people’s burden due to El Niño in other ways. For instance, farmers who rely on irrigation pumps and fishers who use motorized bancas will have to pay more for gasoline. Note that due to El Niño, more farmers turn to irrigation pumps. Fishers also consume more gasoline as they spend more time fishing (warm temperature drives fish to deeper waters, fishers claim). Meanwhile, outstanding issues in the power sector continue to unjustly burden the people with or without an El Niño. Due to the ongoing implementation of RA 9136 or the Electric Power Industry Reform Act (Epira) of 2001, power rates remain exorbitant and continue to shoot up. Automatic adjustment in generation charges, for instance, allowed Meralco to again hike its rates for March by P1.38 per kWh. Just last year, Meralco jacked up its distribution rates by 41 centavos per kWh. The Epira-created Wholesale Electricity Spot Market (WESM) also gave more opportunities for the new private power monopolies to manipulate electricity rates. In February this year, for example, power rates in the WESM spiked to as much as P68 per kWh, which Arroyo’s own economic adviser Albay Gov. Joey Salceda described as “unspeakable”. Apparently, power companies trading in the spot market withheld supply, a market abuse easily done by firms in control of both distribution and generation, jacking up prices in the process. Power sold in the Luzon grid is dispatched through the WESM, a mechanism that will also be set up in the Visayas soon. pletely refunded the P34.12 billion in overcharges that it illegally imposed on its almost 5 million customers in the past. The energy sector is a lucrative industry but the billions of profits it makes come at the expense of the people and national development. Such greed and abuse become more deplorable during times of natural calamities such as the current El Niño when the people’s poverty and hunger intensify and the domestic economy is further undermined. 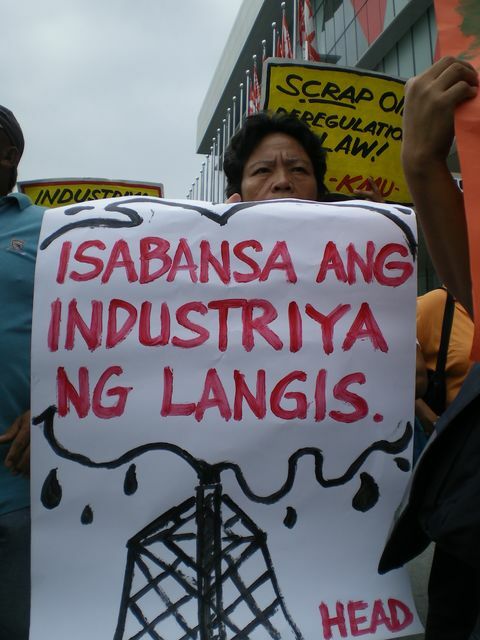 What we need is an oil and power industry that is not privatized and deregulated, and that is not controlled by the Cojuangcos, Aboitizes, Lopezes, Pangilinans and their American, European, and Japanese partners. What we need is an energy sector that is nationalized, state-owned, and effectively controlled by the Filipino people. Only then can we stop overpricing in petroleum and electricity, and better plan the energy needs of our people and economy. Thank you po sa pagpost niyo ng pics.. Ang larawan ng Agus power plant ay akin pong magagamit sa aking hw sa Eco..